Since I was 6 years old I have been passionate about football and have been blessed to be able to afford the best boots on the market and the latest kit available. I fondly remember being gifted the newly released Southampton kit (the team I support) when I was a kid, and how brilliant that felt. Having played football in the area for many years and now responsible for Social Media at Executives in Africa, I was instantly engaged when I stumbled across the charity TackleAfrica and felt inspired to act. 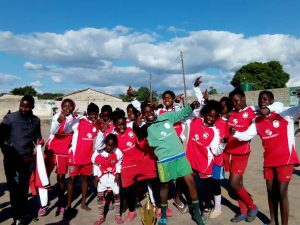 TackleAfrica is a UK leading international sport-for-development organisation which uses the power and popularity of football to deliver sexual health education to young people on football pitches across the continent. They recognise the potential of football as a means of bringing people together and provide a platform from which to convey life-saving messages about sexual health. TackleAfrica acknowledges that football is a great way to engage specifically with young people regularly. It provides regular health education with a respected and informed coach who uses fun, interactive football drills with inbuilt health messaging in their clubs and communities in order to create a safe space for young people to discuss sensitive issues. Their programmes improve understanding of key sexual health issues by giving young people the skills and confidence to make safe decisions, and providing access to youth friendly services such as HIV testing and counselling. Having played for most of my footballing career for teams like Sway FC, Ringwood Town FC & Lymington Town FC, I decided to tap into the contacts I have made along the way and amass unused or nearly new gear to donate to a charity that will distribute it amongst those who most need it. This included those who are now playing at professional levels like Sam Vokes, Burnley and Wales striker. 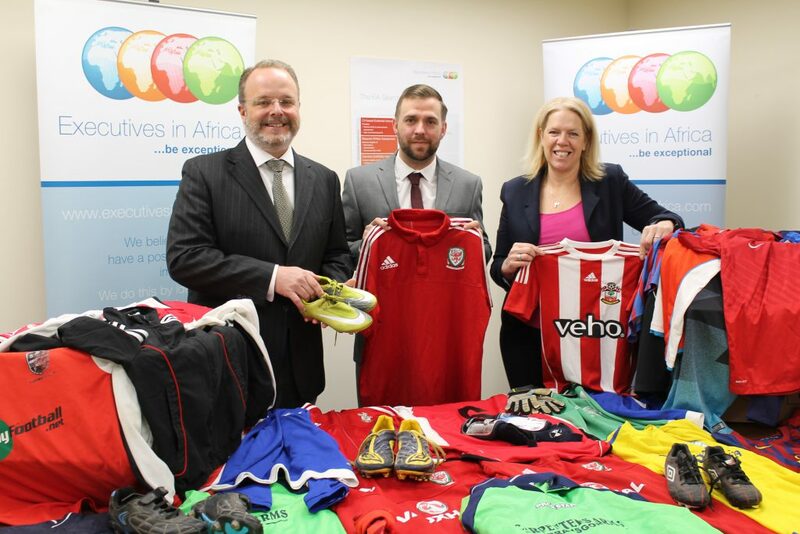 I was overwhelmed with the response, and within weeks had gathered around 60kg of shirts, shorts, boots and pads. The donations received are a brilliant reminder of the power and kindness generated through football. Executives in Africa supported me in this initiative in shipping this over to Zambia for distribution across a couple of counties in southern Africa. 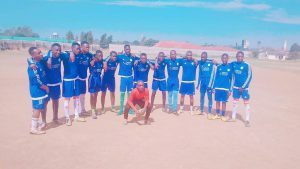 By providing TackleAfrica with donations of football gear, Executives in Africa aim to support their endeavour in continuing to educate and challenge young players to make safer decisions, limiting the impact of sexual diseases in their families and communities, and in turn having a positive and lasting impact on Africa.